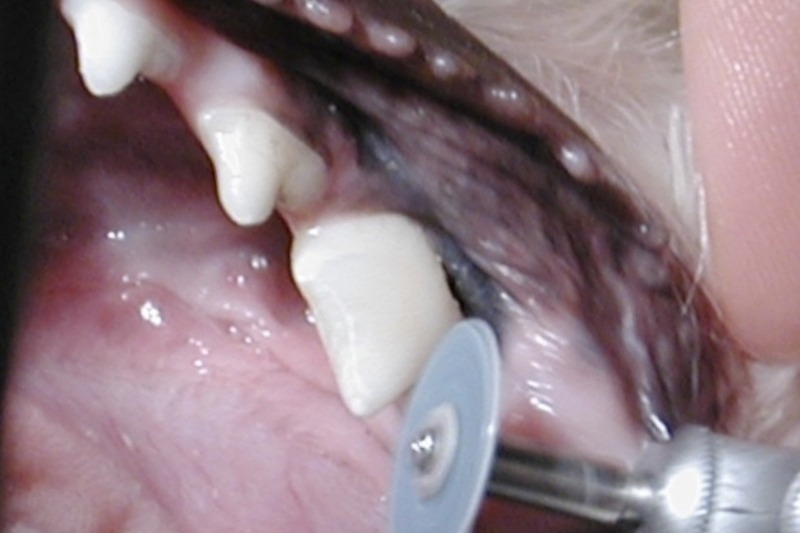 Just like in people, carious lesions (cavities) can occur in dogs and rarely in cats. The most commonly affected teeth are the back molars. Like human teeth, dog molars have a relatively flat chewing surface, with deep pits and fissures. Bacteria can invade the tooth and cause damage to the outer layers of the teeth. Teeth with early carious lesions may be painful and sensitive to temperature changes. 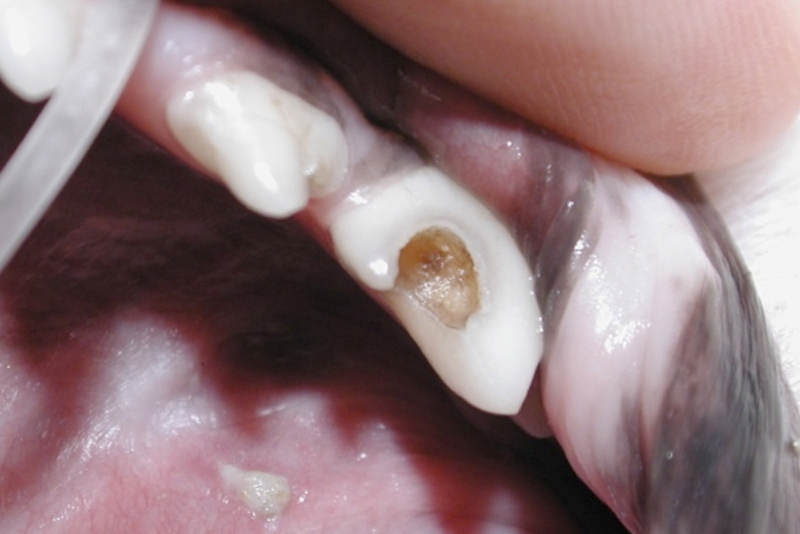 Eventually, untreated caries will continue to invade the tooth until it gets to the inside pulp canal. Invasion of the pulp will result in pulpitis and endodontic disease and contribute to pain and infection. It is important to note that caries are caused by a completely different process than tooth resorption. Treatment should be performed as early as possible. Similar to humans, treatment concentrates on removal of the decayed, infected tooth structure, followed by restoration. The tooth pictured with the caries above received proper treatment and restoration. The result is a pearly white sealed and restored tooth seen on the left.